This app turns iPhones and iPads into a level, metal detector, and AR ruler. Along with measuring object alignment, angle, and surface flatness, this app's latest update includes a compass feature and an AR Ruler function, allowing the user to point their camera and measure distance between objects. 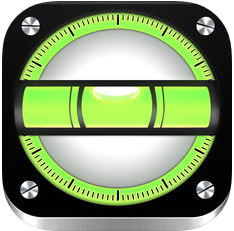 This app is also able to detect wire inside a wall before drilling or nailing.